Uber is here to stay in Broward and all over South Florida. As these drivers increase daily, so do accidents with Uber drivers. Our Broward Uber car accident attorneys serve all of South Florida in their representation of Uber drivers and passengers who were injured in car accidents. At the Wolfson Law Firm, our South Florida personal injury lawyers have assisted people in achieving justice after all types of accidents since 1963. Our Broward Uber car accident lawyers in South Florida can help you and your loved ones also. Just call us at (305) 285-1115 or toll free at 1-855-982-2067 for your free consultation. At the our personal injury law firm, our Miami personal injury lawyers represent both Uber passengers and Uber drivers in Broward and all over South Florida. We can help you if you had a Broward Lyft car accident as well. We fully appreciate the challenges that face you following any car accident in Broward and in South Florida. If your car crash involves Uber in Broward, then your personal injury claim could become more complex. 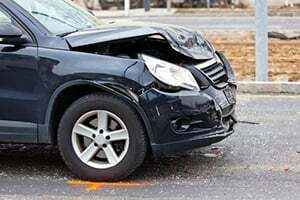 Our Broward Uber car accident injury lawyers know how to help you process your injury claim and pursue get the justice you are entitled to and that you deserve. Our Managing Attorney is Jonah Wolfson and he is a bilingual lawyer who is available to represent the residents of Broward and all of South Florida. All you have to do is call (305) 285-1115 or toll free at 1-855-982-2067 for your free and confidential consultation and we can come to you no matter where you live in South Florida. We can provide the answers to your questions and advise you about the options so you can decide what is best for you and your family. Uber is all over South Florida and is quickly becoming an essential part of daily life in Broward. Odds are likely that you know someone who is an Uber driver or passenger. In fact, a team member of the South Florida personal injury team at the Wolfson Law Firm is a former driver for both Lyft and Uber. He has assisted our Broward personal injury lawyers to understand the direct impact of Uber and Lyft in our South Florida. He has also provided our South Florida Uber car accident lawyers representing Broward residents with a more thorough understanding of the challenges that Lyft and Uber drivers are confronted with daily. After a Broward Uber car accident in Broward or in South Florida, rest assured that there will be complex issues of insurance coverage. Our Broward Uber injury lawyers know what to do to help you following any type of accident. But you need to call us first at (305) 285-1115 or toll free at 1-855-982-2067 so we can get to work for you. The Broward personal injury lawyers and wrongful death attorneys of the Wolfson Law Firm have more than 60 years of collective experience assisting and representing the residents of South Florida including Palm Beach County, Broward County and Miami-Dade County. We are standing ready to work with you and your family. Call us at (305) 285-1115 or toll free at 1-855-982-2067 so we can work with you on your Broward Uber car accident injury case. Our Broward and South Florida personal injury lawyers proudly serve the communities of Hollywood, Davie, Plantation, Hallandale Beach, Sunrise, Lauderhill, Fort Lauderdale, Pompano, Deerfield, Coral Springs, Weston, Parkland, Pompano Beach, Deerfield Beach, Wilton Manors and Miramar.